Hello friends, I hope all is well in your world. Last Saturday I had the opportunity to attend an outdoor Garden Party hosted by Kim of Design + Life + Kids in West Chester, PA. The theme of the party was “A Radiant Orchid Summer” and the sponsors really pulled out all stops with their Swag Bag (Bucket) Giveaways. It was a beautiful sunny day and we had a good time snacking on tasty treats, enjoying a signature cocktail from the Brandywine Valley Brewing Collective and taking pictures which were posted to our Social Media networks as entries into the various giveaways. Kim was the perfect hostess, she made us all feel welcomed and comfortable at her home which only enhanced the day. The fun really began when we had a opportunity to make a tie dye picnic blanket and a floral bracelet. Rit Dye was the sponsor of the tie dye project and the beautiful flowers for the bracelets were provided by The Bouqs. 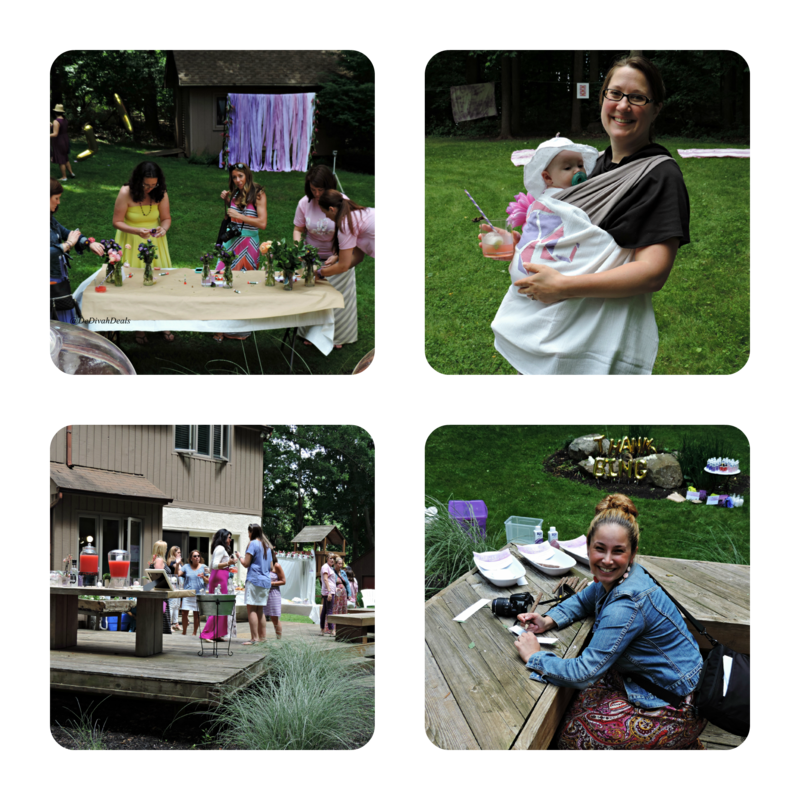 Both of these fun activities reminded me of the 60’s, the era of tie dyed clothing and flower power! The weather had truly cooperated as it was perfect for this afternoon garden craft party and the ability to make your own slushes with a cup from ZokuHQ was an added bonus. Perfect theme for a perfect day! Thank you Bing and thank you Kim for hosting this fun event, I look forward to attending others. Oh how fun! I love the theme and the spread looks gorgeous! It was, we all had a great time. I hope you had a super Saturday! Oh that looked like a really nice event and a lot of fun! It definitely was. Hope you are having a wonderful weekend. What a beautiful spread. That looks like so much fun. HappyFriday Fab Lady. Thank you bloggy friend, hope you had a super Saturday! We saw your pics on Instagram! Blog events are so much fun and the swag bags are an added treat 😉 Happy Weekend our bloggy friend. So far so good, hope you had a great Saturday! This looks like my kind of party! Cute, chic and fun. It was a great garden party. Have a wonderful weekend! looks like fun, you look great! It was and thank you very much! I am loving Radiant Orchid this year! I would have enjoyed that type of party. Looks like you had a blast. It’s such a vibrant and rich color. 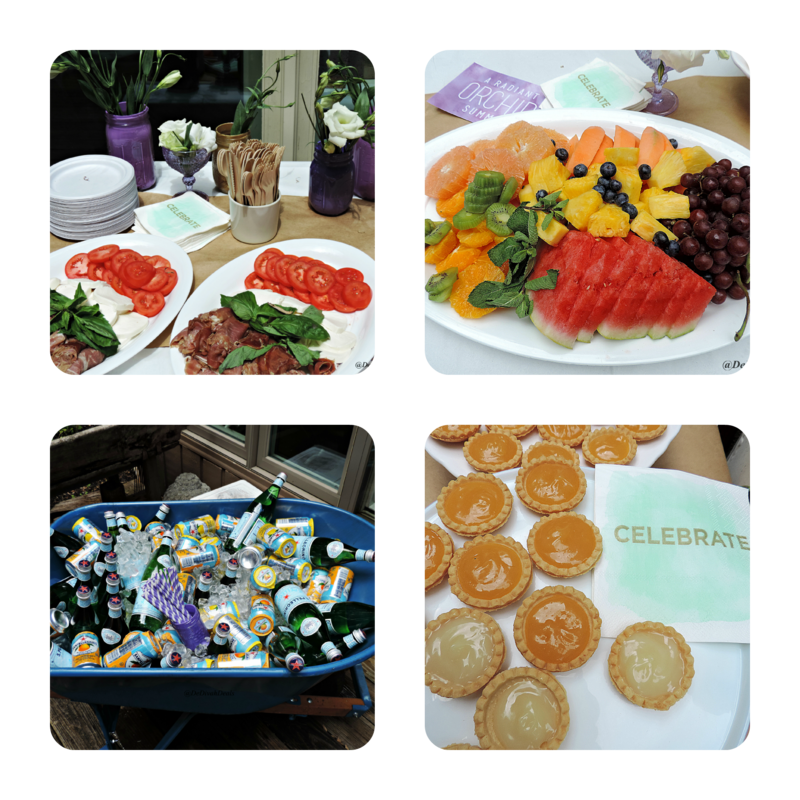 The party was great and we had a blast. Wow that looks like an amazing time!! Hey girl thanks so much for the visit today at homemaker-mom. Loving your blog today!! Thank you, it was a great day and we had a wonderful time. I hope you have a wonderful week ahead. It was, I had a great time! Yes it was. I hope you had a wonderful Wednesday.